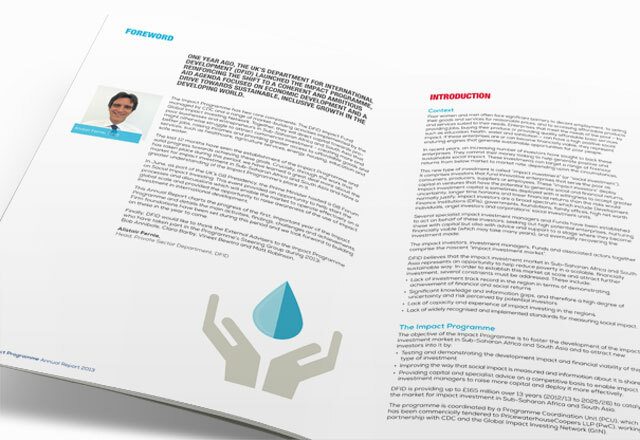 Designing and producing reports for The Impact Programme: a programme funded by the Department for International Development. 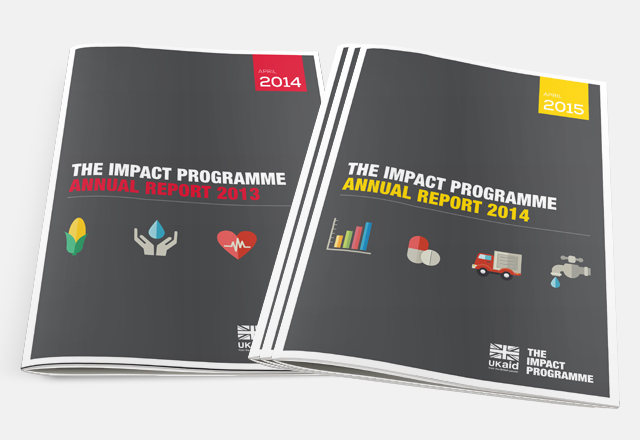 Having previously created The Impact Programme’s visual identity, we were commissioned to design a set of reports to sum up their first year. 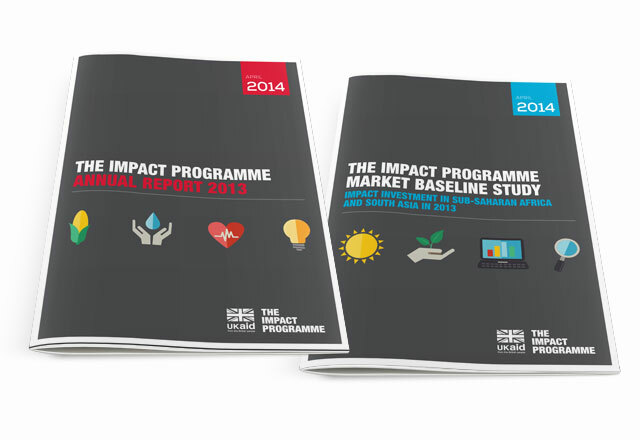 Published after the first year of the programme’s operation, we used stylised icon-type imagery to illustrate the documents and photos to bring the Annual Report and a Market Baseline study to life. 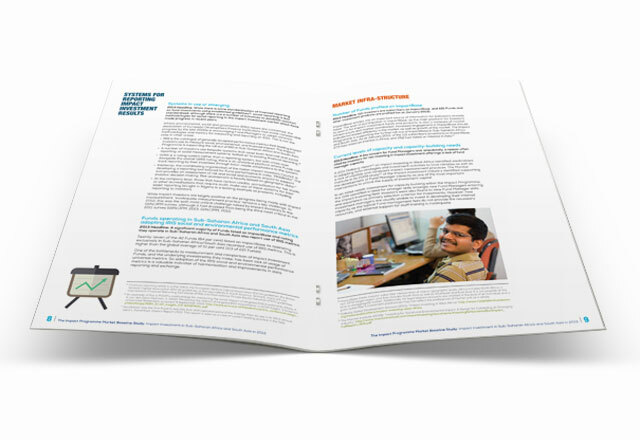 The reports were well recevied and we have recently finished this years reports following the same style.